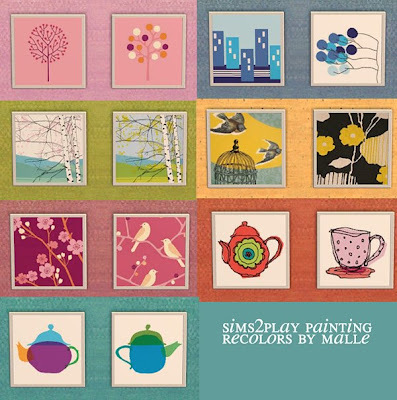 Here's a little set of recolors of the sims2play paintingmesh I already recolored once. But I noticed that the recolors with real pictures probably weren't the best idea + I redid the one that was already included with the first set. You should probably set your blog to english, seriously: Hinterlassen Sie Ihren ? What the muffin is that supossed to mean?! Lol ;] So yeah guess who's got a blog now, me! agus! Weeeh this is exciting! ahhh, it's in german? oh I didn't noticed that, I thought it's only shown in german for me. but thanks for the tip.